Apple Pay’s incorporation into macOS Sierra makes it really easy to pay using the service on your Mac with your iPhone or iPad. But that doesn’t mean just because you can, you will, or will want to use Apple Pay in the future. If you don’t use Apple Pay (or even if you do) and you don’t want websites to inquire as to whether you have the service set up on your iPhone, then you can turn off the ability for website to check. 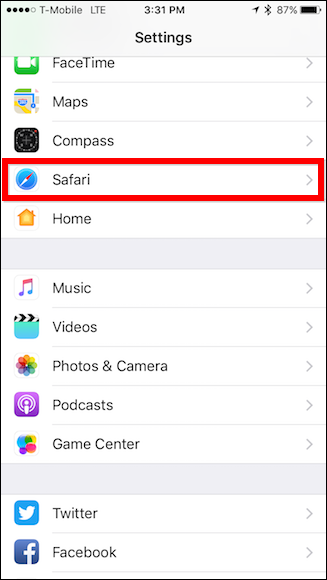 On your iPhone, first open the Settings and then tap “Safari”. 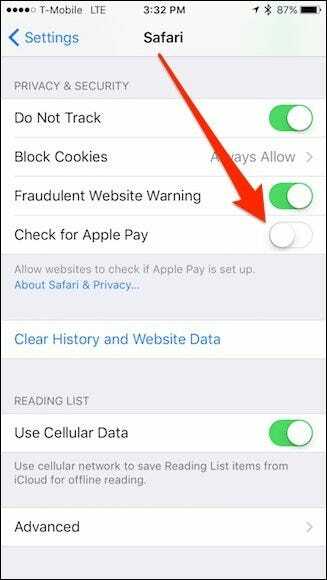 In Safari’s settings, scroll down to the options under Privacy & Security and tap off “Check for Apple Pay”. On MacOS, open Safari’s preferences from the Safari menu or by pressing Command+, on your keyboard. 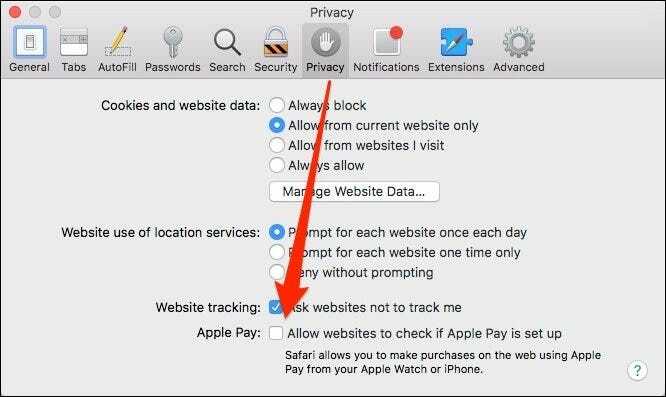 In the settings, click on the “Privacy” tab and then turn off the option at the bottom “Allow websites to check if Apple Pay is set up”. Keep in mind, just because you disable this option doesn’t mean you can’t use Apple Pay. It just means any website that supports Apple Pay cannot poll your devices and suggest it as a payment option. This is just one of those features that Apple has included for added convenience as well as broaden Apple Pay’s adoption. Thankfully, you can safely disable it without breaking anything vital.